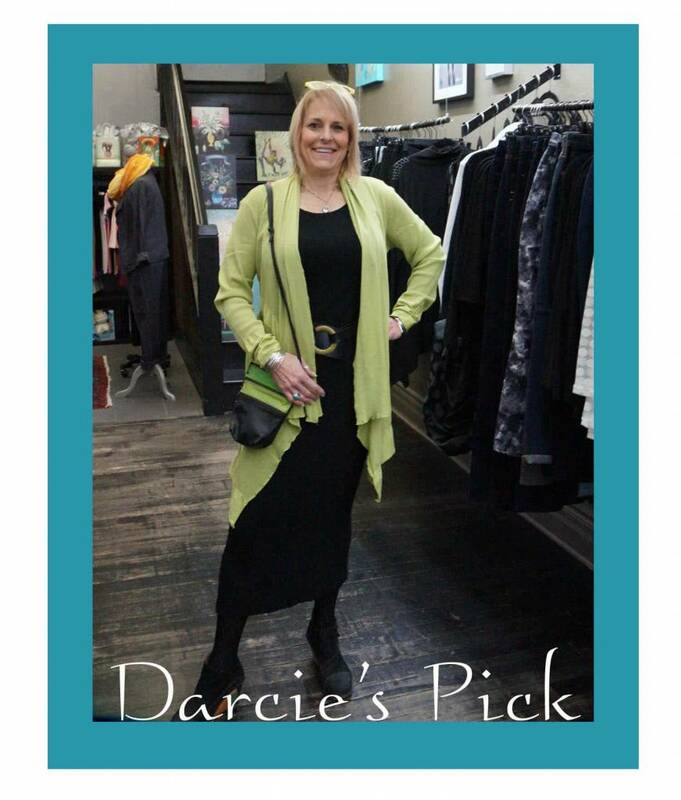 Date Night Darcie- Weekly Pick! Darcie is thinking ahead to Valentine's Day this week with her pick. Ready for date night, drinks with friends, or dancing the night away, this look is effortlessly chic. Starting with one of our all time favourite essential base layers, the Lousje & Bean Tank Dress, you can never go wrong with black as it is the ultimate neutral. The dress is belted with a Rim Belt, made in Montreal, it is a great way to define your waist and add dimension. Adding a pop of colour with a Cut Loose Mesh Sweater in Chartreuse and a pair of colourful readers (both available in-store), makes this look fresh but not trendy. A Karen Gunna Leather Purse tops it all off, tying in the colour palette and completing the look. Streamlined and simple, this silhouette is flattering for all body types and suitable for so many different events. Tell us, are you planning anything special for Valentine's Day? If so, what will you wear? Stay tuned next week for some of our favourite date night spots to go along with this fabulous look!